Gifts from the Pirates: "Whatever is fair in love and war is also fair in crimefighting." "Whatever is fair in love and war is also fair in crimefighting." I wrote a post in November about the different kinds of building materials me and the boys use in the house, when i wrote the post i was really excited about writing this one but i knew it wouldn't be written until after Christmas. 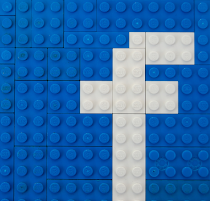 Back when i wrote the last post we had found some building blocks by Fisher Price that i hadn't seen before called Trio and the boys really loved them, especially Seth as the blocks are bigger than Lego and i think he finds them easier to play with. As there wasn't much to play with in the box i decided to look on eBay to see if anyone was selling a bulk load of them but there wasn't. On the off chance i decided to look internationally and when i did i got really excited by what i found. First off I'd like to say that Fisher Price are amazing. 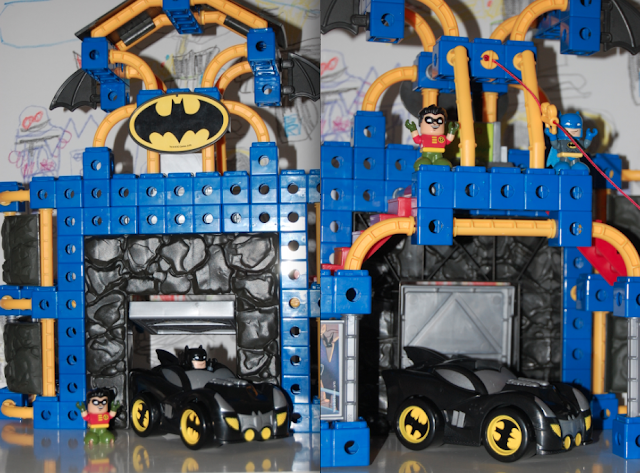 Mrs M collects vintage Fisher Price toys and Ive been so impressed by the Batman Imaginext range which Seth has loved and equally impressed by the Batman Little People and Wheelies range which Opeie loves playing with. I did think there was anything else out there comic themed but as i found out during that eBay search there was a Batman Trio range that hasn't been released in this country. We must have been really good last year as on opening our Christmas presents we realised that Santa must have stopped off in America to get some of the boys presents. Santa's the best (ill definitely be leaving him an extra mince pie next year). There were quite a few sets within the pile of gifts and the boys couldn't wait to get in to them. 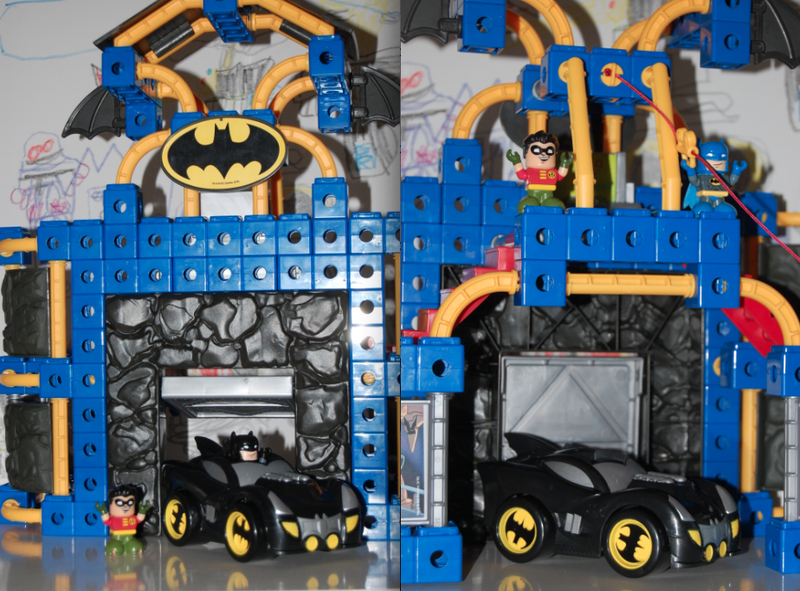 The Batcave is a great set and is pretty big too, what i and the boys loved most about it was how easy to put together it was, the instructions are really clear and because the pieces are bigger it takes no time at all to erect. You cant have the Batcave, Batman and Robin without his evil counterpart. Good old Saint Nick kindly sent us the Joker Laugh Factory playset too which is colourful and lots of fun. This was the set that Seth had asked for for Christmas. There are a fair few Sets in this range, one of the things i liked most was that 'The flash' got his own set with a vehicle, he's not one of my favourite comic heroes but i do still enjoy watching the John Wesley Shipp series and the boys love it too. I don't remember him ever driving around in a meaty vehicle like this though, i bet the insurance on it is a nightmare. The most confusing of the kits was the Superman kit. The man of steel had Superhuman strength, Speed, Stamina, Invulnerability, freezing breath, super hearing, multiple extrasensory and visual powers, intelligence and regeneration but above all he could fly so I'm not sure what use he would have for an air craft??? any way its still a great little toy. We did need another villain or it was going to be a very unfair battle, not that i want to give the baddies the upper hand but i do believe in a fair fight. The penguin and his umbrella rocket launcher was a great addition to our play. 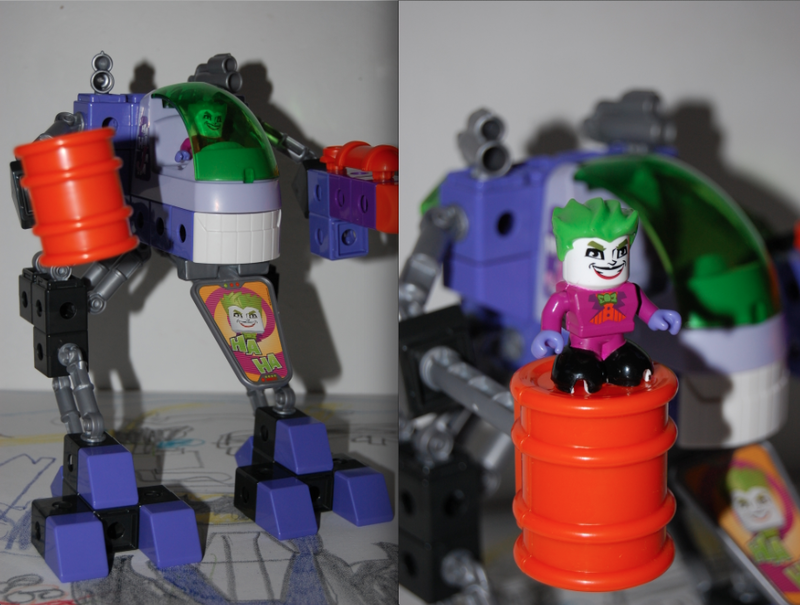 When were playing with the Lego batman figures and the Batman themed things that we have built Seth loves a good Jokerbot, A battle with the Joker just wouldn't be the same without one so when Seth opened one of his presents to find a Trio Jokerbot he was a very happy little boy. As i said at the start of the post im really impressed with Fisher Price, when your a dad that's in to comics and all things Super it can be difficult finding appropriate toys for your young children but Fisher Price has definitely helped with the introduction of new characters during our play time and overall i know it's safe. The only real downside is that many of the toys are not released in this country and seem to be exclusive for the US market. Luckily Santa gets to fly all over so it handy having a visit from that jolly chap once a year. Maybe this year Seth might get some of his Pirate Gifts from over the pond as they do work very closely with Mr Claus.